Agricultural sector in Kenya has, for many years, formed the backbone of Kenya's economy: the agriculture sector in Kenya contributes about 30 per cent of the Gross Domestic Product (GDP). 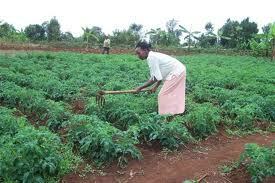 Agricultural sector jobs accounts for 80 per cent of national employment, mainly in the rural areas. In addition, the agricultural sector contributes more than 60 per cent of the total export earnings and about 45 per cent of government revenue, while providing for most of the country's food requirements. The sector is estimated to have a further indirect contribution of nearly 27 per cent of GDP through linkages with manufacturing, distribution, and other service related sectors.Agriculture in Kenya directly influences overall economic performance through its contribution to GDP. Periods of high economic growth rates have been synonymous with increased agricultural growth and productivity. The tea sector is a dominant sector and the coffee sector has started to pick up following a decline in the recent past. The horticultural and flora sectors have seen unprecedented growth over the past years as more companies venture into production and export of flowers and fresh produce. The sugar industry has faced significant challenges and it is the government’s intention to improve the sector. This industry is expected to show good growth over the next few years, should the government implement their stated policies. Other sectors where the country has significant untapped resources include cotton, forestry, fishing, pyrethrum, and macadamia nuts. 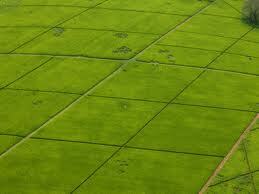 Here are some of the firms and companies that play a big role in Agricultural sector in Kenya. Click on any to get more details. 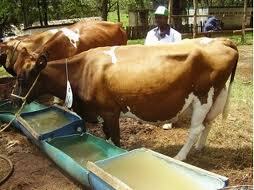 •	Sameer Agriculture & Livestock Ltd.